This is a beautiful Arab-inspired chill out. The Buddha statues will keep you company while you’re having a delicious gin and tonic or a relaxing cup of tea on one of the comfortable armchairs or beds. 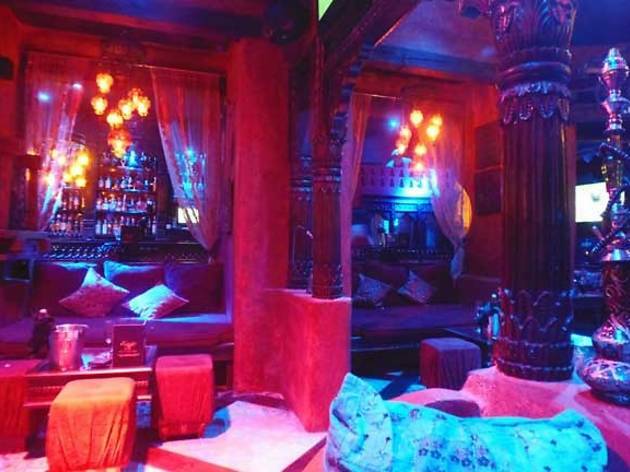 In the Arabian ambience, created through red lighting and ethnic prints, you can smoke a shisha pipe to relax after a hard day at work. 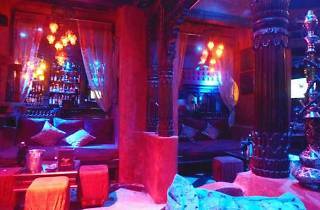 It’s a comfortable place for afterwork sessions. The cocktails are good here and it’s a pleasure to watch the barman put together a piña colada or a gin and tonic. There are also plenty of scheduled activities such as monologues, concerts and live performances.